Da Nang cuisine is not only famous because of fresh seafood or delicious local dishes. 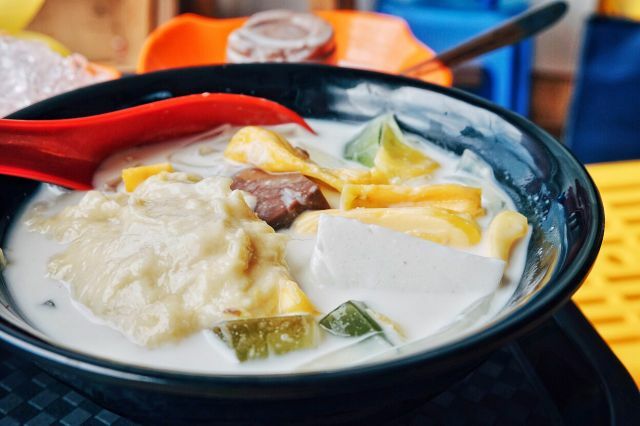 Coming to Da Nang city, you could enjoy the best Che –sweet soup here. After a discovering day around the city, nothing is better than relaxing with a glass of cool, sweet Che at a popular shop. 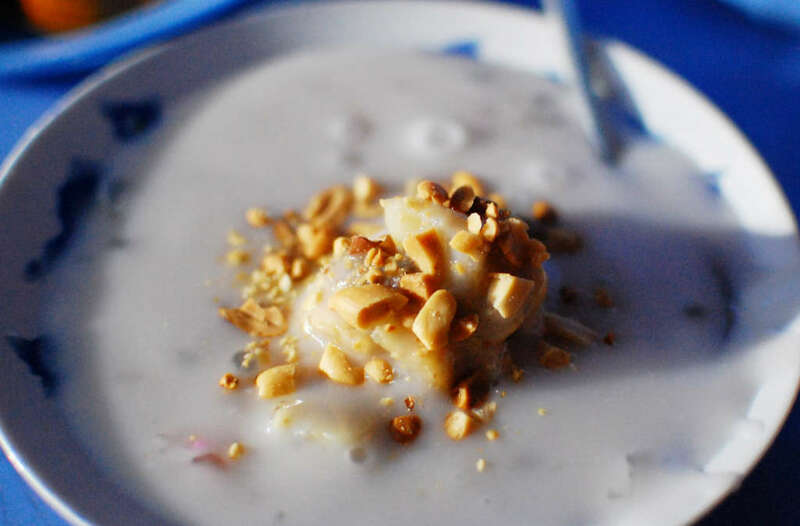 Don’t forget to read our recommendation before you go- Top 5 Che (Sweet Soup) in Da Nang. Che Xuan Trang is really famous in Da Nang for many year by their yummy taste and cheap price. Although there are crowded, but their service is fast and clean. When you come here, you should try the mixed che with different kinds of beans. They also have very great home-made yogurst, flan cake…. There are many kinds of desserts or Che in this shop. But the must-dish is Che Lien in Thanland style with durian. If you are fan of durian, you could not miss this food. 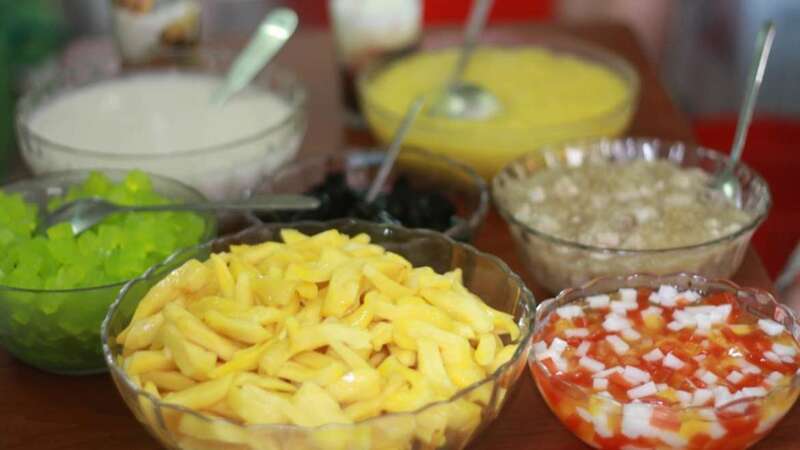 Che Lien is prepared with its own method, then we can feel very different taste here. The durian one has eye-catching colors, cool and sweet taste, pleasant aroma with many ingredients such as jackfruit, jelly, durian, longan, … making the sweet, fat, fragrant and distinctive flavor of che. Their serivce are also fast and friendly. It’s not easy to find this shop because there is not big shop. The shop is so simple with some chairs on the pavement. The name of the shop also is so special, I could not explain exactly in English. But when local people hear about this name, we know that is very simple shop with hot sweet soup. Although it is only a pavement cart, the shop is full of sweet soups from green beans, red beans to lotus seed or banana soup. No need to be too luxurious, just enjoy together is enough for you! If you are looking for a modern style of sweet soup shop, this one is for you. 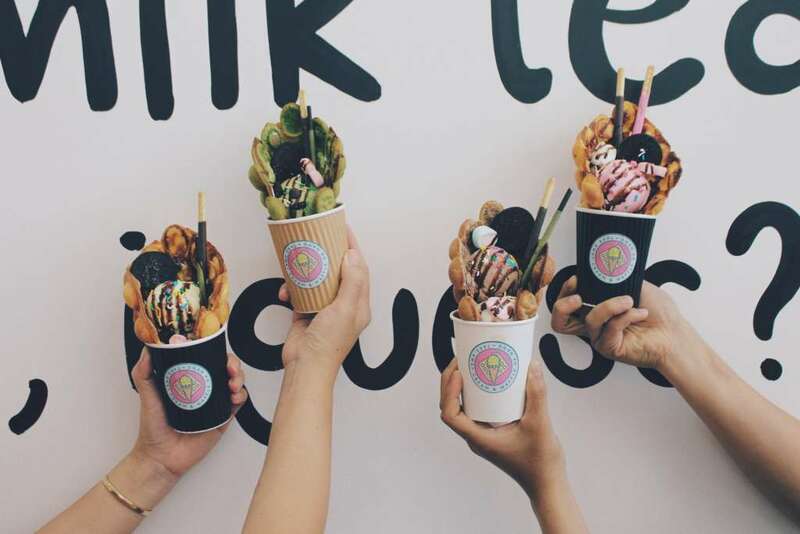 Take Away Cream and Waffle Da Nang is located on Hoang Dieu street. They has decored the shop with eye-catching, many “cool” and unique corners to check-in on facebook or instagram. If you love coconut and love to find a different taste with traditional ones, you should not forget to visit this shop. 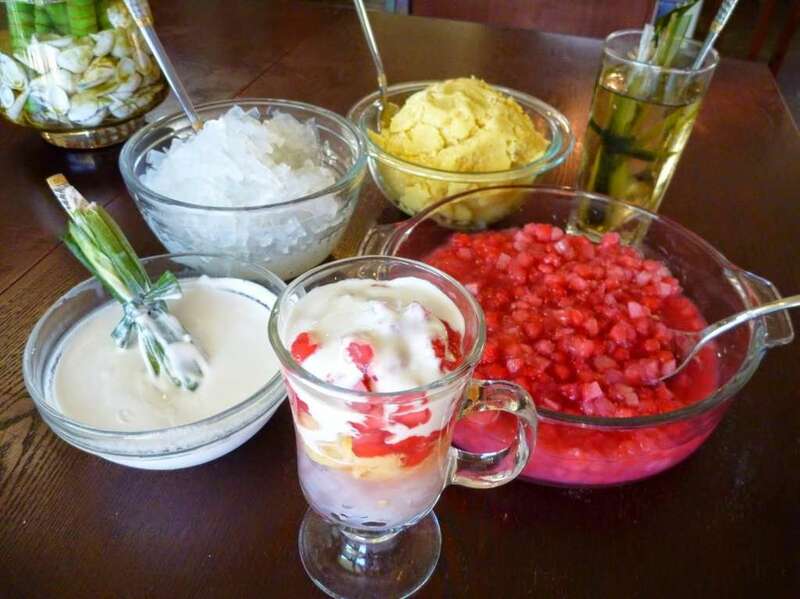 A glass of “standard” beam of coconut with fragrant coconut milk, thick, sweet and medium, with dozens of topping such as: young coconut, coconut jelly, soft coconut, pearl, coconut jelly … will surely make you amused. In countless Che or sweet soup of Vietnamese culinary, Che xoa xoa is one of very unique dishes. With many years in cooking Che experience, you can be assured of the excellent quality of sweet soup here. The che xoa xoa Mrs Cham is one of the first sweet soup in Da Nang. 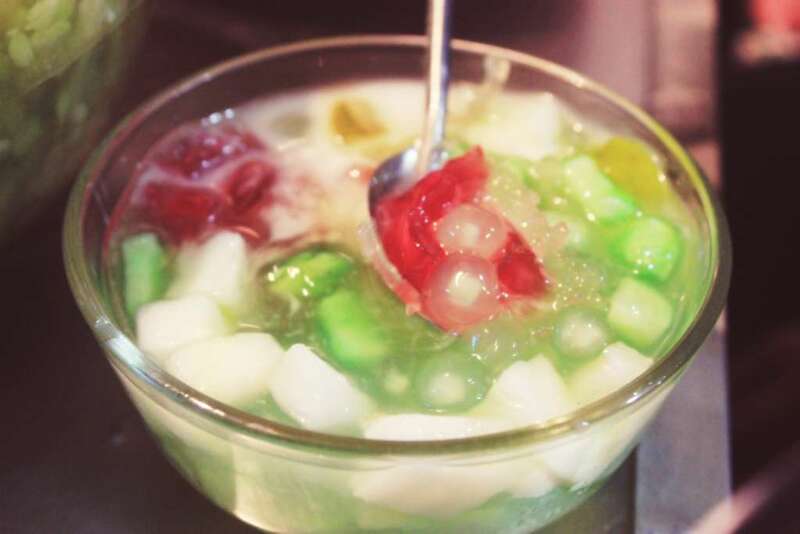 A colorful glass with coconut milk, peanuts and soft, fresh jelly will make your mouth non-stop eating.